GRECO -- the Council of Europe's Group of States against Corruption -- was founded ten years ago to monitor compliance with the Council's anti-corruption standards. It does that by studying the members' existing laws and practices, publishing reports that evaluate their efforts, and recommending how they can improve their performance. We talked about it in a post in June 2008 (here). We hadn't thought much about GRECO since then, until this email showed up over the weekend: Dear FCPA Blog -- My father just forwarded me an article in which I thought you might have an interest. It relates to recent French legislation limiting prosecutorial authority over French companies' acts of bribery overseas. Regards -- Pete from DC. Regular readers will know that when Pete from DC speaks, we listen. And sure enough, Pete (and his dad) were right. The article they sent said GRECO has just issued a report critical of French anti-corruption laws. And the GRECO report itself says, "France has severely restricted its jurisdiction and its ability to prosecute cases with an international dimension, which, given the country's importance in the international economy and the scale of many of its companies, is very regrettable." The problem, according to GRECO, is that anti-corruption offenses committed abroad can only be investigated by French authorities at the request of the foreign prosecutors and following a complaint from the victim or his or her beneficiaries, or an official report by the authorities of the country where the offense was committed. And for good measure, French law also prohibits the prosecution of French companies for bribing French officials overseas. Taken together, GRECO says, the laws amount to "exceptional guarantees" to French companies that they won't be prosecuted for bribery abroad. As we said, it isn't pretty. Even the normally placid GRECO is slapping its forehead over this one. It said France's legal system is fairly effective in combating corruption, but it wondered "why, despite the economic weight of France and its close historical links with certain regions of the world considered to be rife with corruption [the former French colonies in Africa], it has not yet imposed any penalties for bribing foreign public officials." This story first appeared in the EUobserver on March 13, 2009 here. Our thanks to Pete from DC (and his father) for sending it to us. A copy of the Third Evaluation Round / Report on France, Adopted by GRECO at its 41st Plenary Meeting (Strasbourg, 16-19 February 2009) can be downloaded here. It appears to the [GRECO Evaluation Team] that . 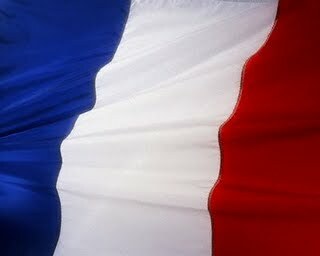 . . France applies other limits to the application of the principle of jurisdiction based on nationality. [O]ffences committed abroad can only be prosecuted at the request of the state prosecution service and must be preceded by a complaint from the victim or his or her beneficiaries, or an official report by the authorities of the country where the offence was committed. In the absence of such a complaint or report, the French authorities are unable to prosecute the offence, and this was confirmed by the persons the team met and the legal theory supplied. The victim's complaint is unimportant in practice because according to legal theory in French law it is usually the foreign state that is concerned. An official report is therefore a precondition of criminal proceedings. The report must be issued by the foreign government, its prosecution service or an investigating judge. The police authorities have no competence in this matter. . . .
Certain persons confirmed that it is difficult to apply these provisions on jurisdiction, particularly when the perpetrator is a legal person. As indicated earlier (see paragraph 76), there have been no convictions so far for bribing foreign public officials, despite the fact that France is a major commercial and industrial power, which raises questions as to whether the obstacles in the way of recognising jurisdiction could possibly dissuade prosecutions. Legal theory has occasionally stressed that acts of corruption committed by French persons abroad cannot be prosecuted, thus offering French companies "exceptional guarantees". . .